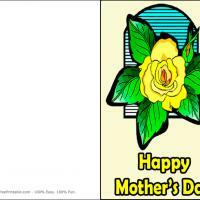 This is a bright way to show your love for your mother on Mother's Day. 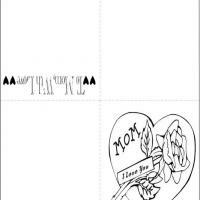 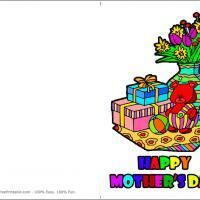 These printable Mothers Day cards feature a colorful image of a red teddy bear with a ball, two gifts and a vase of flowers with Happy Mother's Day written in a bold colorful font. 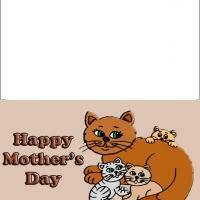 This joyful card is a good way to remind her how joyful she makes you. 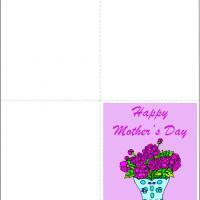 Take some time to add a personal message inside to let her know how truly special she is to you.